Instantly check to see if your special date is available. 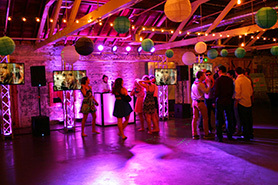 Powerplay DJ is a premiere entertainment company for all occasions including wedding DJ, Photobooths, casino fun night services and more, serving a large area in the upper midwest with offices in Fargo and Bismarck. Wedding dances are what we do best! 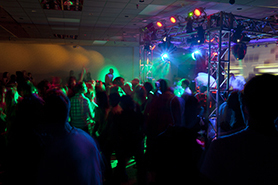 Book Powerplay DJ and your dance will be a hit! “We had such an excellent time at our wedding dance, it was so wonderful and exactly what we wanted. Our DJ was very helpful in planning our dance so everything went smooth. The toys were a big hit with the kids. We had so many compliments during and after the dance we couldn’t be happier. We couldn’t have asked for a better DJ, thank you so much Powerplay DJ! 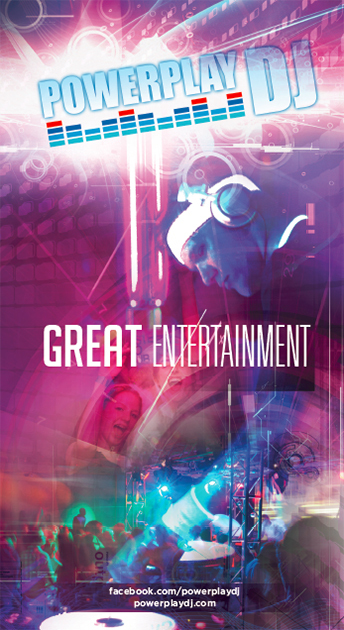 We have a great group of DJs who have the personality and enthusiasm it takes to ENTERTAIN! Let’s face it, anyone can push “PLAY”. Our DJs have the ability to motivate the crowd and this ultimately makes the biggest difference. 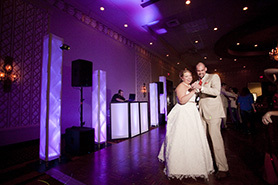 Powerplay DJ has performed well over 4,000 successful wedding dances since 1994. The experience and knowledge has been passed down in the form a professional training program that new staff members must pass. 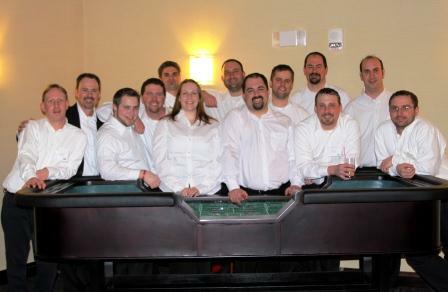 Your DJ will be dressed to impress (tux) and have a professional and caring attitude. We are a full-time business and take customer satisfaction very seriously. Reviews are sent out to every client we book and we carefully track feedback in order to constantly be on top of our game. Your satisfaction is our number one priority – always. See our reference list and you will find several of the busiest banquet hall managers that can vouch for our performances. Our commitment to a quality show has ALWAYS been our hallmark. From the top-of-the-line sound & lighting equipment, to quality trained professional DJ entertainers, we take pride in our work and it shows. We believe our rates are fair, and after checking around, we think you will too. After your event we hope you will feel that you received great VALUE and in turn refer us to friends and family for future events. Pick a package which suits your tastes and budget. With each package, you can expect a fun, professionally trained DJ personality who is interactive and ready to entertain you and your guests. All of our packages include a high quality Bose or JBL sound system, party props, and 30,000+ song digital music library. • The Standard Series setups use our traditional horizontal truss light show with disco ball and multiple special effects lights. The Standard Series has been the gold standard for Powerplay DJ for 20 years. • Features a next-generation look and feel with lighted facade, vertical truss pillars, and special effects lights for a clean, yet dramatic look. • Our custom setups are only limited by your imagination. For the bride who must have it all, ask about the “Bombshell Package” featuring a large truss structure with synced lighting and multiple TV’s. This package will mesmerize your guests and be the talk of the town! Bachelor/bachelorette parties, wedding transportation, prom, etc. 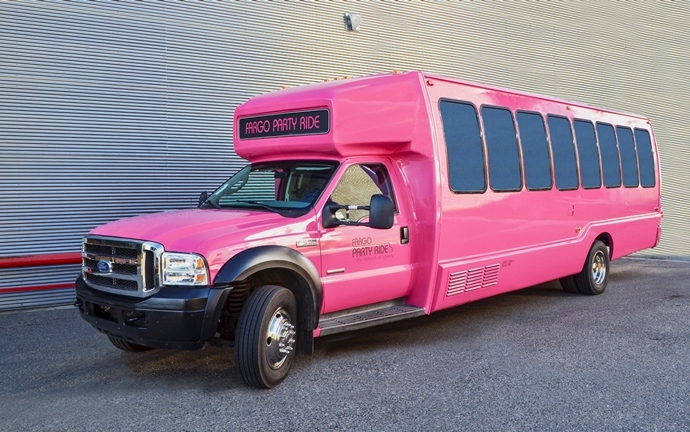 Add a party bus to your DJ package and receive 10% off from Fargo Party Ride. Eight (8) unique Limo or Party Buses to choose from. Get an online quote or visit Fargopartyride.com. 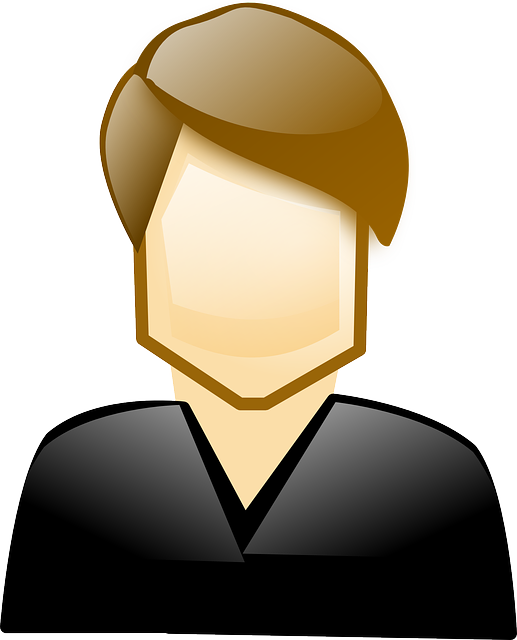 Areas of Service: Fargo/Moorhead, Grand Forks, Fergus Falls, Detroit Lakes, and surrounding communities.